The Best Sales & Executive Jobs across Australia and Asia Pacific. 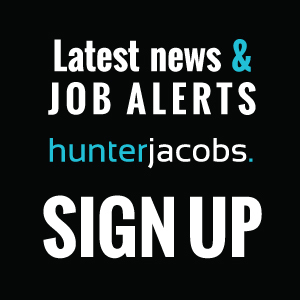 Here at Hunter Jacobs, our network gives you instant access to the best sales and executive jobs across Australia and the Asia Pacific region. Our client portfolio includes leading global technology vendors and professional service providers, enterprise business service providers and innovative national and international start-ups. We consider our relationships your relationships meaning you will have access to some of Australia’s foremost business leaders and the jobs they are creating. Due to the strength of our network we have the luxury of being able to choose our clients, and we choose carefully. We only work with organisations that we feel have a progressive approach, operate with integrity, are innovative, and focus on the development and progression of their employees. Why you should partner with us? You deserve it. You deserve a partner in recruitment that is going to keep you posted every step of the way. That’s what we’re here for. We don’t take it for granted you’ve chosen us to work with. Great candidates are at the heart of our business and we don’t shy away from that fact. You can expect real time updates, complete transparency and responsiveness you won’t get anywhere else in the market place. Professional discretion at every turn. Hunter Jacobs maintains a high level of discretion on both the candidate and client sides of the business. We understand the importance of discretion, and will NEVER share your name, or your resumé, without your consent. Thorough briefing and preparation before your interview. We are known for providing our candidates with a thorough briefing and preparation for interview. If Hunter Jacobs has set up your interview, you won’t be going in blind. You will always walk into an interview with all the information you need to put your best foot forward. We’re ready to take your unique skills to market. At Hunter Jacobs we understand where you are coming from, and can help you get to where you want to go. Our specialized recruiters know your industry, and have the capability to expand your options. If you are not suitable for one of our vacancies we can work with you to proactively take you to market leveraging our network of industry thought leaders and job creators.